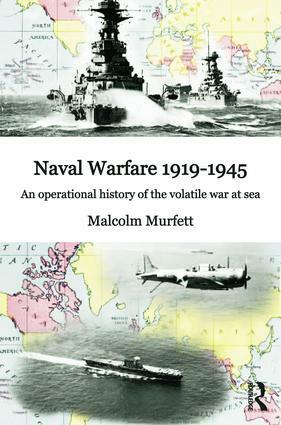 Naval Warfare 1919–45 is a comprehensive history of the war at sea from the end of the Great War to the end of World War Two. Showing the bewildering nature and complexity of the war facing those charged with fighting it around the world, this book ranges far and wide: sweeping across all naval theatres and those powers performing major, as well as minor, roles within them. Armed with the latest material from an extensive set of sources, Malcolm H. Murfett has written an absorbing as well as a comprehensive reference work. He demonstrates that superior equipment and the best intelligence, ominous power and systematic planning, vast finance and suitable training are often simply not enough in themselves to guarantee the successful outcome of a particular encounter at sea. Sometimes the narrow difference between victory and defeat hinges on those infinite variables: the individual’s performance under acute pressure and sheer luck. Naval Warfare 1919–45 is an analytical and interpretive study which is an accessible and fascinating read both for students and for interested members of the general public.